Vada May Armstrong, 75, passed from this life April 10, 2019, in San Antonio, Texas. Vada was born June 29, 1943, to Jeff T. and Annie Viola (Fraser) Virden at Boswell, Oklahoma. She married her husband Otis Armstrong in Hugo, Oklahoma on October 3, 1960. Vada spent her entire life in the Hugo- Soper area. She was of the Assembly of God faith and loved crocheting, sewing, and cooking for her beloved grandkids. Vada is preceded in death by her husband: Otis Armstrong; her parents: Jeff and Annie Virden; sons: Tommy and Jeffrey Armstrong; great-grandson: Chasin Tucker; brothers: Abbie and Wayne Virden; and sister: Ruth Wisdom. 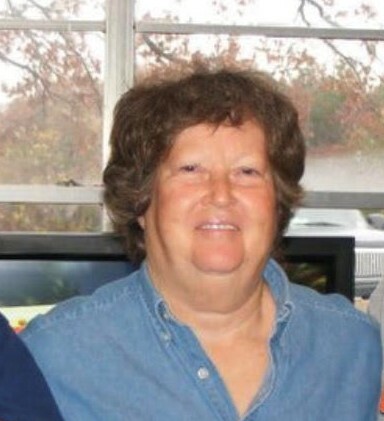 She is survived by her children: Susie Keller of Hugo, Oklahoma and May Pierce and husband Matt Booth of Pleasanton, Texas; grandchildren: Timothy Armstrong, Otis Keller, Monte Keller, Bruce Keller, Jeffrey Tucker and wife Emily, Ronald Tucker, and Waylon Tucker and wife Ashley; great-grandchildren: Kylie, Sooner, Gracelyn, Ella, Neeley, Emory, Riley, Addison, Case, Natalie, Taylor, Kambree, and Blakelee. Funeral services for Vada will be held 2PM Sunday, April 14, 2019, at the Serenity Funeral Service Chapel. Interment will follow at the Bentley Cemetery.